More than 8 in 10 teachers said this affected their morale, as you can probably imagine that it would. More than half said they were made to feel to blame for behaviour issues, presumably by their school leadership, and nearly half said that physical and verbal abuse in their schools were expected as ‘part of the job’. This is clearly a self-selecting group who were motivated to answer the survey, but 29% of 5000 is still an awful lot of teachers reporting being hit, punched or kicked. Student behaviour is the Cinderella issue in education. Teachers may avoid mentioning it, particularly if they feel they will be blamed for it themselves. When they decide to leave the profession, they may instead focus on reasons involving workload or other sources of pressure. Yet, with the anonymity provided by a survey, they can tell it like it is. From an Australian perspective, it is an interesting issue to contemplate given evidence from PISA suggests that, if anything, behaviour is even worse in Australian schools. Student behaviour therefore should be the subject of urgent research by education academics. Unfortunately, the prevailing philosophy in education faculties is one in which children are always blameless and any and all misbehaviour is the communication of an unmet need. This therefore involves a certain amount of glossing over reality and is probably a reason why teachers tell me their training was so weak on the issue. It is also interesting to contrast the work of the NASUWT with another UK union, the NEU. I was tempted to write ‘another UK teaching union’ but I have been corrected on Twitter by a member of its national executive – the NEU is the National Education Union and not a teaching union, apparently. The NEU’s recent conference was an eccentric event and the organisation is looking increasingly like Momentum, the UK political pressure group notable for supporting Jeremy Corbyn’s leadership of the Labour Party. This is the conference where Corbyn pledged to abolish SAT testing, with no clear plan put forward for an alternative. It is also the conference where delegates voted for a motion condemning supposedly ‘zero tolerance’ behaviour policies in schools. Exactly what behaviour should teachers be tolerating and which union has their interests at heart? Unhappy about something that happened at your child’s school? Here’s my suggestion. I am left troubled by an in depth investigation published in today’s The Age. Melissa Fyfe and Henrietta Cook have produced a great piece of journalism, the kind that reminds us why we have quality newspapers, and so this it not the issue. Instead, my unease stems from the ambiguity of the stories that are told. Fyfe and Cook report on the bad behaviour of some parents – and peripherally students – towards teachers and they dissect the possible causes of a suggested increase in incidents of this kind. After a string of negative social media comments, one school principal has apparently resorted to the law of defamation, with some families settling and others fighting on. One parent has been made bankrupt. I am not in a position to judge the rights and wrongs of these cases because I do not know the facts, but my UK background, a country where ‘libel’ law has often been misused, has made me wary. It is important to point out that schools often make mistakes. As a young head of science in London, I was responsible for a mistake that placed a student in the wrong group – it was a simple data error. The parents politely questioned this, I realised the error, apologised, fixed it and we all moved on. And sometimes schools need the kind of feedback that only parents can provide. We may annoy parents by the way we (fail to) communicate with them, for instance. However, I have had a number of challenges with parents, particularly early in my career in London, and there is one issue that often arose and could have been avoided. Picture the scenario. The family sits around the dinner table. The parent asks the child about his or her day. The child is upset and tells the parent what happened at school that caused this upset. Then the parent assumes that this is exactly what happened and there are no elements to this story that the child has left out. That’s where the problem lies. We are now all in a bind. If the parent contacts the school in this frame of mind and there is a little more to the story, then a number of things could happen. The parent could accept the new information and back down a little. Yet this is pretty hard for the parent to swallow, particularly if they have started the discussion rather emphatically or if the existing relationship between the teacher and parent is not strong. Embarrassment often only serves to make us more angry and so the parent might accuse the teacher of being dishonest or shift the focus to another issue. Such an impasse serves nobody well. The teacher is in a bind. The parent feels embarrassed and frustrated. This can be avoided if parents start the conversation with, “My child came home today and said… Is this what happened?” Nobody is boxed into a corner. The first ask questions approach will not resolve every conflict. Sometimes, school principals and parents will fundamentally disagree on a matter of values. Schools have to build a common culture and that cannot reflect the varying values and expectations of every family’s home. There will be clashes. Moreover, schools are environments that need systems to manage the flow of a large number of students around the site, buildings and classrooms without anyone being hurt in the process and in a way that allows learning to take place. This means that every child cannot be treated as a unique individual all of the time. However, if parents first ask questions, we can perhaps reduce the level of conflict and prevent some arguments from ever developing in the first place. Long before he became famous for searching for his own name on Twitter or appearing on a celebrity dancing show, Ed Balls was the education minister who decided to scrap Standard Attainment Tests (SATs) in English, Maths and Science for 14-year-olds in England. The move was triggered by the collapse of the marking process in 2008. Rather than try to fix them, Balls decided to ditch the tests. Iconoclasm has its appeal. It can be a cathartic process, particularly when the icon that is being smashed has been the focus of so much attention. Teachers who taught English, Maths or Science to 13- and 14-year-olds had their work framed by these tests. They became sick of marking practice questions. Removing this tyrant freed teachers and school leaders to focus on what they thought was important. And that was part of the problem. There are plenty of bad ideas in education with a small army of consultants ready to push them. After the SATs for 14-year-olds had gone, some schools simply started preparing students earlier for GCSEs – the exams taken at age 16 which, unlike SATs, are a formal qualification and sit on a student’s record – and that had the effect of narrowing the curriculum. Other schools adopted project-based, cross-curricular approaches, encouraged by the new knowledge-lite Balls reforms to the national curriculum. However, learning English, Maths and Science is actually pretty important and the SATs measured whether that had happened. Whatever the flaws in any system of testing, you cannot do well in a maths test unless you have learnt the maths. These other important if nebulous things that schools and teachers could now focus on were not being measured and it is hard to improve at anything without a standard to work from. Before we abolish something, we should always ask: Why was this thing introduced in the first place? What purpose did it serve? This is not a call for blind conservatism – some institutions and practices outlive their purpose or perhaps never even delivered on it in the first place. Some purposes are malign, such as the construction of a monopoly to gouge consumers. In this case, iconoclasm is the right way to go. But let’s at least understand this purpose when we make the decision. Let’s tear down these icons in full knowledge of what they are and why they are there. When the leader of the British Labour Party, Jeremy Corbyn, told delegates at a union conference last week that he intended to scrap the remaining SATs taken by children at ages six and eleven, he said he wanted a new system that, “…prepares children for life, not just for exams… Our assessment will be based on clear principles. First, to understand the learning needs of each child, because every child is unique.” This does not sound like Corbyn has done a full analysis of the purpose of these assessments. Instead, it reads as if he is recycling progressivist educational tropes about individualism. Again, I will point out that there is nothing inherently socialist about individualism. When SATs were introduced, they applied to both England and Wales, but Wales phased them out between 2002 and 2005. When Ed Balls abolished SATs for 14-year-olds in 2008, they had long gone from Wales. But that’s not the end of the story. In 2013, alarmed at evidence from the Programme for International Student Assessment (PISA), Wales reintroduced testing for all children aged 7 to 14 in reading and maths. If abolishing assessments of this kind is a panacea, what kind of monster would reintroduce them? We are having a similar debate in Australia about our NAPLAN literacy and numeracy assessments that children take in Years 3, 5, 7 and 9. In addition to the kinds of argument deployed by Corbyn, we also hear claims about the extraordinary levels of stress these assessments cause children – claims that have characterised the debate in England. If children are feeling stressed about sitting assessments that do not form part of any formal record then it is clearly the adults around them who are to blame. Either teachers or parents are winding these children up when they should be calming them down and reminding them that assessment is just a normal part of schooling designed to help the adults help the children better. If we are really creating generations of teenagers who are stressed-out by a school assessment then I fear for them when they have to take a driving test or be interviewed for a job or ask someone out. And imagine we remove these assessments. What will happen when a child is not progressing but the teacher assessment says that he or she is? Does the parent have a right to know? If so, how will the parent know? If we smash the icon of national assessment without understanding why we made it in the first place, we may find we have to make a new one. In the last few days, two different education professors have suggested books for me to read, so I thought I would return the favour. These are not necessarily the best books on education – although they are pretty good – but they are a selection that are particularly pertinent to the interests of education professors. Chall was responsible for conducting numerous reviews over several decades into the teaching of reading. Every time, she found that a code-based, phonics approach to decoding was superior to the alternatives. In this book, Chall reflects upon the history of education and the education establishment’s failure to embrace the evidence for phonics and for explicit teaching more generally. This book extends the argument generated by Kirschner, Sweller and Clark’s seminal 2006 paper. Firstly, proponents of ‘constructivist‘ teaching approaches set out their views in a series of chapters. This is then followed by a series of chapters by critics of constructivism. There is then a set of chapters discussing specific issues before each of the editors offer a summary. In a quite brilliant touch, at the end of each chapter, the author or authors of the chapter are asked a series of questions by people who disagree with them. Wiliam should be an nonthreatening read for education professors because he has been one himself for much of his career. In this book, he surveys the approaches that could be used to improve education systems and casts aside many that lack supporting evidence. He then settles on the three that show the most promise: Building a curriculum focused on developing knowledge; Supporting a culture where every teacher improves; Applying a framework for evaluating new district initiatives. The discussion of a knowledge-rich curriculum is particularly pertinent, given the tendency of educational pundits to downplay the value of knowledge and instead focus on supposedly generic skills. There are lots of books I could recommend. In you want to read a more expansive argument for a knowledge-rich curriculum then David Didau’s recent book or one of Hirsch’s is a good place to go. However, I think it’s probably impolite to recommend more than three books in one go. Notice that the books I have chosen are not philosophical in approach. They are not an extended argument based upon particular opinions and stances in the way that, for example, the writing of John Dewey is. Instead, all three draw heavily on the available evidence. Education professors, I would contend, should be interested in what the evidence shows and should privilege this above educational scripture. I awoke this morning to the terrible news about Notre Dame cathedral in Paris. As I turned on the television, live footage showed the 850 year old cathedral in flames, a melancholy vision, a metaphor. I have no doubt that the French people will rebuild their cathedral anew. But something will be lost. A bite has been taken out of our shared cultural soul. The fire will have consumed objects that nobody will look upon again. I was a little lost in these thoughts as I jumped in my car and drove. I wanted to order the meat for Easter Sunday from my butcher in Mount Clear and so after I had done that, I found myself driving along Whitehorse Road towards Sebastopol. When I finished, I left the supermarket to be confronted by the apocalyptic sight of an Australian bushfire growing in fury in the direction from where I had driven just a few minutes earlier. I looked at the VicEmergency app on my phone and confirmed it was not a planned burn. I figured-out a circuitous route home. Although I am not particularly religious, I said a silent prayer for anyone who might be close to the flames. As I drove, all hell broke loose, with fire trucks, sirens and helicopters. I contemplated the contradiction between those doing everything to avoid the fire, like me, and our firefighters rushing towards it. By 1.30 pm the fire had jumped Whitehorse Road and into the pine plantation on the other side, but by 1.40 pm, The Courier was relaying that no injuries had been reported and that the incident controller thought the fire would soon be under control. By 3.30 pm the warning level had been reduced. We often take civilisation for granted. When we cook a simple bowl of pasta, we don’t stop to think of the infrastructure designed to bring water and gas to our home, the farmers growing the wheat, the factories and depots stocking the supermarket. We take it for granted because it has always been there. And yet all of these commonplaces rest on reserves of expertise and knowledge that could so easily be lost. Our civilisation is a precious cathedral. It is a mechanism of interdependent interlocking parts with nobody in control of all of it. And yet we don’t notice. But today was different. As mobile phone apps and radios and the internet and fire trucks and helicopters and highly trained professionals all kicked into gear, it was possible to see afresh the power that our collective cultural knowledge wields. The fire may have consumed a piece of our civilisation in Paris, but civilisation conquered the fire in Ballarat. Cognitive load theory considers the human mind to be a natural information processing system in the same way that the interplay between genes and the environment is a natural information processing system. 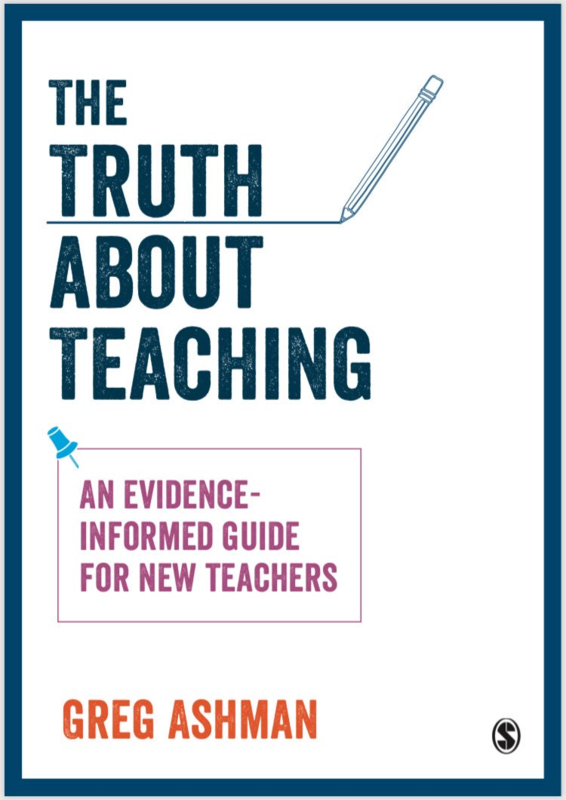 However, although I research in the area of cognitive load theory, I tend to recoil at the suggestion that teaching is about imparting information. Partly, this is reactive. Some would seek to draw a distinction between imparting information and educating in some deeper, groovier sense, in order to suggest that explicit teaching is only any good for the former. However, there are other reasons why I think ‘information’ is not an appropriate term. The terms ‘information technology’ and ‘information and communication technology’ are often used by schools to refer to lessons about computers. The reason we call the human mind a ‘natural’ information processing system is because we are drawing a counterpoint to artificial information processing systems: computers. I have no problem modeling the mind as a computer, as long as we remember it is a model and concede that the act of modeling involves abstraction and simplification. It does not imply that we believe that human minds are literally computers. They perhaps could be, but there appear to be some fundamental differences, particularly in the way that knowledge is organised and retrieved. A suitably elastic definition of ‘computer’ might cover it, but I tend to prefer to use words as they are commonly understood. If we go too far in talking about learning as the storage of information, I think we imply that minds are literally computers. The strings of zeros and ones that code for a picture of a cat are information, yet you would hardly describe them as knowledge. When people argue that the amount of information on the internet is increasing exponentially and that it is therefore no longer possible to know everything we need to know, they make the mistake of equating knowledge with information. You do not need to know all those zeros and ones that code for cat pictures. Knowledge is a type of salient information that is validated by a way of knowing. One of these ways of knowing is the scientific method. If we want to prove that A causes B then we could run an experiment. We could then perhaps claims to know that A causes B. This is always contingent. A replication of the experiment may overturn the result or complicate it. Obviously, we do not go around conducting experiments all the time in order to gain knowledge and that’s fine. There is no need. If you want to know what Hindus believe then you can ask a Hindu. The more Hindus you ask, the more complete a picture you will obtain. Nonetheless, asking people is a valid way of knowing what they believe. This example also demonstrates that we can know a belief. The realm of knowledge is not restricted to measurable, objective facts. Most of the time, ways of knowing are implicit. When a garrulous historian holds forth on the Great Depression, we do not stop her every few seconds to ask how she knows all of this stuff. Instead, we tend to offer a little trust to the processes by which she acquired this knowledge. What we then remember of the discussion will become incorporated into what we know. The historian may be wrong about certain aspects or later work may overturn current theories. Knowledge is always contingent, but it does come validated by a way of knowing that means it is a very particular kind of information. The amount of information in the world is vast but the volume of knowledge in the world, although large, is far less and is finite. This does not mean that all knowledge is of equal value and should appear in a school curriculum. It would still be too much to teach. The task of schools is to select the most salient and valuable knowledge and teach it to students. I have argued before that one principle we may apply is to select that which has endured. If knowledge has persisted in its value over a long period of time then it is reasonable to expect it to persist into the future. The value of knowing how to operate a particular software package may fade fairly quickly, but an understanding of how to structure a sentence or the difference between a planet and a moon is likely to stay of value over time. However, I don’t think this principle is an absolute that should be applied to the exclusion of any other consideration. A curriculum should also reflect our diverse societies and knowing how to operate that particular piece of software may be the means to some more significant end. In particular, I would ensure a number of powerful domains are addressed. In my view, these are defined bodies of knowledge that have value beyond the domain itself. For instance, knowledge natural selection can be drawn upon in discussions of machine learning or of the way that the mind works. Information is an ambiguous term encompassing too many things. We should focus on teaching knowledge. Do you think it is possible for a person to communicate a concept to another person? So do I. In fact, it would be bizarre to suggest otherwise, right? Welcome to the world of education. Lorraine Hammond recently wrote an excellent piece for The Conversation, explaining what ‘explicit instruction’ involves. This follows on from this week’s news about NAPLAN and the fact that in some areas where we are seeing improvements, explicit instruction has been identified as a possible cause. I do not know whether this accurately represents the views of Dewey and Vygotsky and it does not really matter. We can easily be drawn into endless exegesis of such writers, as I have discovered when writing about Dewey. No statement can be made that someone will not challenge as a misinterpretation and because they are no longer with us, we cannot check with the source. So be it. The point I would ask is why we would rely on scripture in the first place? How do we know that Dewey’s or Vygotsky’s views are correct? I know Vygotsky did some experimental work, but we should be able to point to far more than this as the basis for claims about education, particularly ones that fly in the face of common sense. Are we really supposed to believe that only ‘information’ can be explicitly taught and not concepts? If this were true, we should be able to point to a wide body of experimental evidence that shows that, for example, students cannot transfer their learning to novel situations unless they discover the concepts for themselves. I am aware of no such body of evidence. So the problem with teaching kids phonics or their times-tables or the order of the planets in the solar system is that it all ends with Nazi Germany. Yet explicit teaching has vastly more evidence to support its use than any of the commonly promoted alternatives such as inquiry learning. Perhaps this is why some academics feel the need to turn away from the evidence. Maybe it is a kind of performative peacock’s tail – the more you can deny reality, the greater your commitment to the cause? In a sense, it doesn’t matter, it just reconfirms my view that teachers need to take control of education.